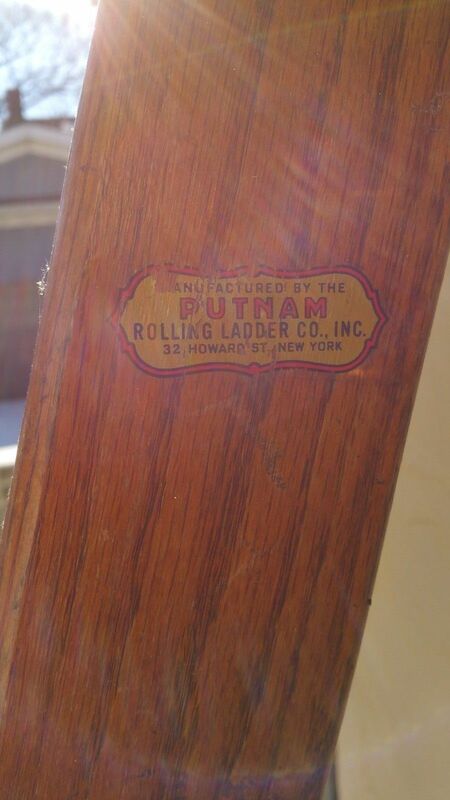 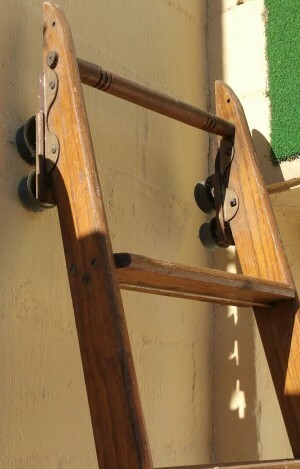 Pair of Putnam antique rolling library ladders from the Putnam Rolling Ladder Co. New York. 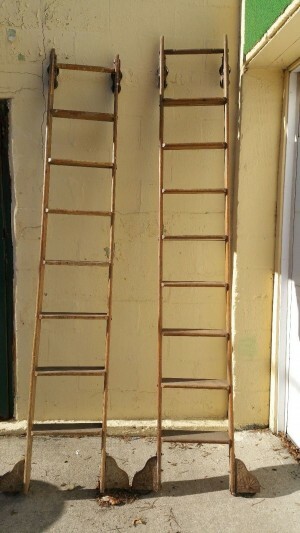 Each ladder comes complete with circular track. 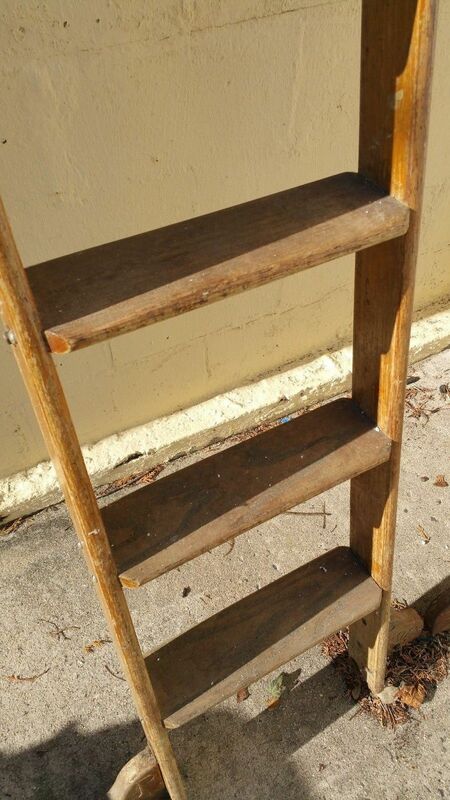 Nice condition, ready for displaying………….